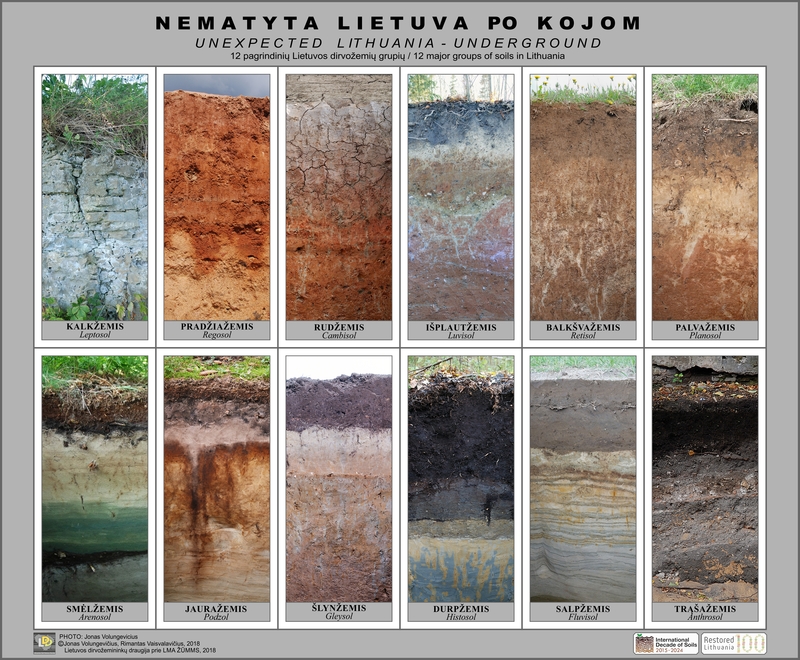 This poster showing the 12 major groups of soils in Lithuania was designed by the initiative of Lithuanian Soil Science Society (LSSS) at the Lithuanian Academy of Sciences in order to celebrate World Soil Day 2018 and the Centennial of the restored Lithuania. Therefore, we are pleased to invite everyone to discover the most exclusive and most beautiful Lithuania’s soil profiles. Author of the photos: Assoc. Prof. Dr. Jonas Volungevičius (President of LSSS). Please, download a poster in PDF or JPEG format. Please, download a program of the event in PDF or Word format. Important note (2): In case you are registered to the International Conference AgroEco2018, your participation at the Scientific Field Expedition will be available at no extra charge (including your accommodation and meals). You are cordially invited to join us for a tradition two days soil survey field trip on October 2-3, 2014. This year it will be organized in one of the most beautiful parts of Lithuania – Curonian Spit National Park. Despite the weather (of course it's better when it's sunny) this magical place offers you a strong energy and the most wonderful panoramas: to and from the dunes (UNESCO heritage site)! Dear colleagues and friends, invitation to 6th international Congress of ESSC. Please find more details here in Congress web page. Lithuanian Soil Science Society got phone call from German Union of Soil Sciences with the proposal to organize part of their 2011 year educational expedition to study European soil cover in Lithuania.